With the delivery of this one punchline, Ribbons, an original character created for Showlo, stole the show from the handful of other characters the audience had recently been introduced to over the course of an hour. Last Saturday night, Showlo took the stage at the aptly named Comedy Bar, for a one-night only performance of their self-titled show. 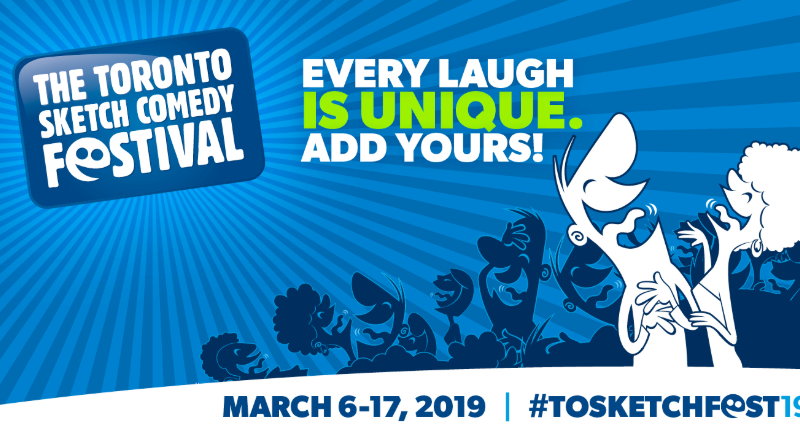 Part of the Toronto Sketch Comedy Festival, the group consists of the top comedians in the city coming together to perform original character monologues, followed by a series of improvised scenes of them in character. The impossibly tiny venue was not only filled with an audience of approximately 40, but mixed reactions as well as some of the eight monologues and the comedians performing them fared better than others. Shandy Bland, “a woman who was easily turned around in a corn maze,” Sandra Oh (no relation to the actress) a sociology student presenting a TED Talk on mating rituals, and a parody of “Summer Lovin’” that details how Danny and Sandy crashed Greased Lightning, were among the skits that struggled throughout the night. Oh had the difficult task of following Ribbons, the clear crowd favourite. What surprised me most about these performances, and what I think led to their lacklustre reception, were the lack of characterization or passion put into them. Lines were often recited in a monotone voice, as if the performers were in a dramatic play and not a comedy show where boisterous delivery and memorable personalities are key. I would say that delivery and a sense of comedic timing were recurring problems throughout the night. I was similarly surprised by the lack of movement, props, and costumes in the show. Movement helps create a more dynamic performance, and utilizing funny props or costumes helps to define and build a character while also providing an opportunity for prop comedy or sight gags. For example, you would think that Mike Nivea, the lead guitarist of a heavy metal band, would have more to his character than a pair of aviators and a shabby-looking coat. Though it may seem simplistic or like a lack of faith in the written material, props and costumes help sell the audience on the fantasy of the night, something that proved difficult for Showlo. That being said, the night did offer a handful of performances that were very well thought out and performed. Ribbons, an unlucky-in-love hipster performing on MTV Unplugged, Grady, a manic teen going over the rules of the centre for troubled youths, and Brandon Hackett, who took the crowd on a Choose Your Own Adventure story, were all simply wonderful. I could easily see any of these becoming a recurring short or segment on SNL. Hackett could even publish his own series of books. Each of these characters and concepts were clear and concise, well-written and performed, and garnered the most genuine laughs of the entire night. Landing a joke is harder than it sounds and each of these comedians knew exactly how to do it, knowing when to let the audience breathe, and when to take things to an enjoyable level of eccentricity. As the show transitioned into the improv portion of the evening, the looser structure appealed to the audience who exhibited a warmer response than they did to the character monologues. The opportunity to deviate from a script proved to be beneficial for Showlo, as even acts that didn’t garner as many laughs during their monologue, killed it when going back and forth with their improv partner. Once again, Ribbons was a clear standout, needing only to utter the letters “OMG” to have the audience eating out of the palm of his hand. The comedians of Showlo impressed with their original characters and inventive monologues, and despite the realization of a few rising stars, a lack of characterization or energy left me slightly disappointed.